The Patriot: Ferenc Chorin Sr.
Ferenc Chorin, the son of the reform Rabbi of Arad had a unique personality and was an innovator himself. -Major player in the revitalization of Hungarian industry. Eminence grise: Ferenc Chorin Jr. 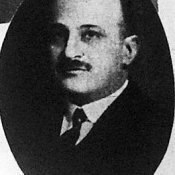 Rabbi Áron Chorin’s grandson Ferenc Chorin Sr., was born in Arad (today: Arad, Romania) in 1842. Years of his youth coincided with the period of oppression following the anti-Habsburg Hungarian War of Independence in 1848-49. The young Chorin was an ardent Hungarian patriot. 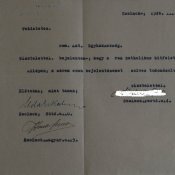 Similarly to his grandfather’s insistence on using German instead of Hebrew, two generations later he advocated for the use of Hungarian among Jews instead of German. It was therefore not surprising that he became the editor in chief of the Hungarian language periodical ‘Alföld’. 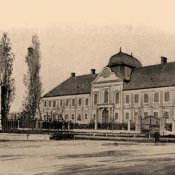 The young jurist/journalist Ferenc Chorin vehemently opposed the Austrian regime and was even arrested once for anti-Habsburg conspiracy, he was however soon released. 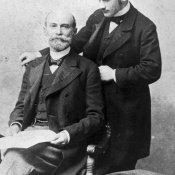 As soon as it was made possible by the Austro-Hungarian Compromise of 1867 concluded between the Hungarian aristocracy and the Austrian court, Chorin abandoned his legal practice and set out to start a political career. He ran at the 1867 elections. With the exception of a few years, he was a permanent member of the Hungarian Parliament until 1901. He first sat in the government row but later became the member of a moderate opposition fraction after the government refused his initiative at setting up an independent Hungarian National Bank. As the opposition was partly responsible for the growing antisemitism of the time he later returned to the government fraction. The king appointed him one of the members of the bicameral Hungarian Parliament. It was this point that he decided to convert to Christianity. 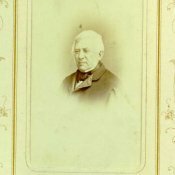 As a politician, Chorin was primarily interested in the development of the Hungarian industry. Unsurprisingly, he also had a significant career in the economy as well. He laid down the foundations of a mining empire to extract the coal wealth of Salgótarján and the surrounding areas. 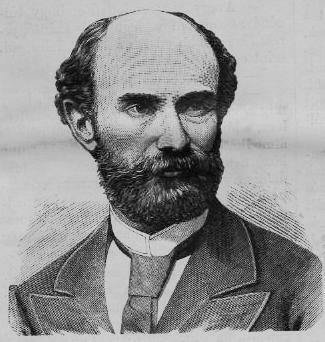 He established, together with Sándor Hatvany-Deutsch the Association of Hungarian Industrialists, the most influential economic organization of the time of which he became the first president. What the famed politician and economist, Gusztáv Gratz wrote once of Chorin can also be interpreted as a generic description of the Jewish industrialist dynasties of the time. 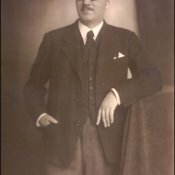 “His independence and courage, the flexibility and endurance of his character were all qualities that made him capable of becoming the leader of Hungarian industry, a sector of significant importance in the Hungarian economy. Using his practical intellect, he continuously sought new ways to develop the industry.” After his death, his son, Ferenc Chorin Jr. picked up the baton from his father.